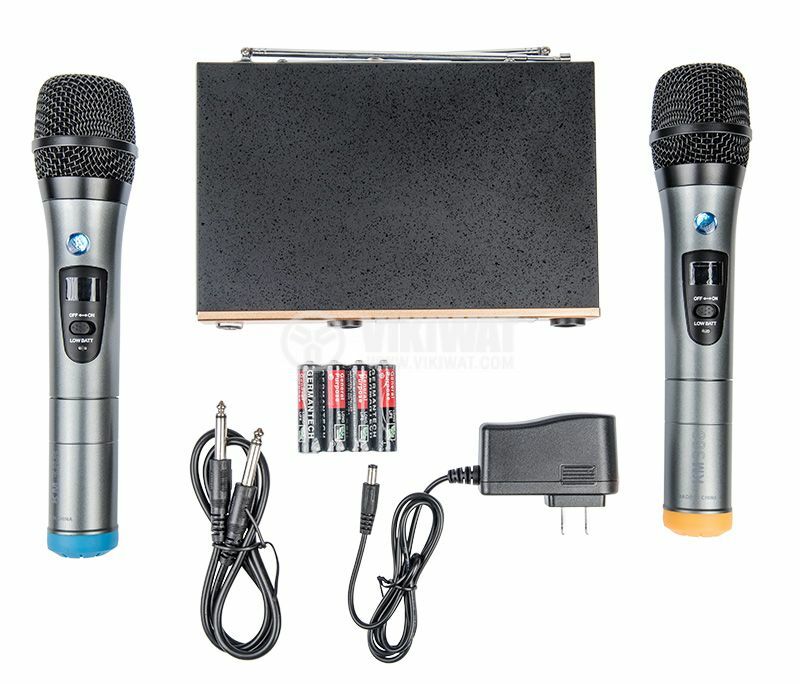 Professional 2-microphone wireless microphones and KM388 receiver. 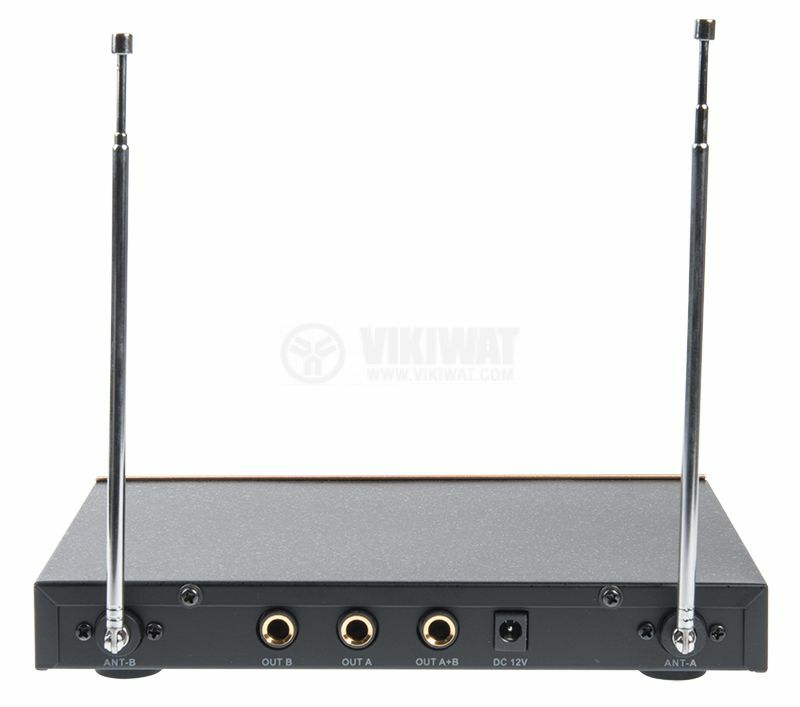 two outputs from the receiver for simultaneous use of the microphones. 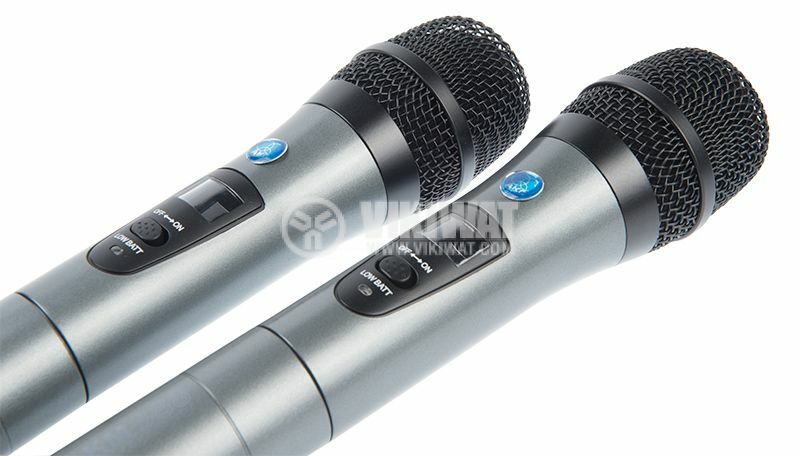 Set of 2 professional wireless vocal microphones and base model KM388. 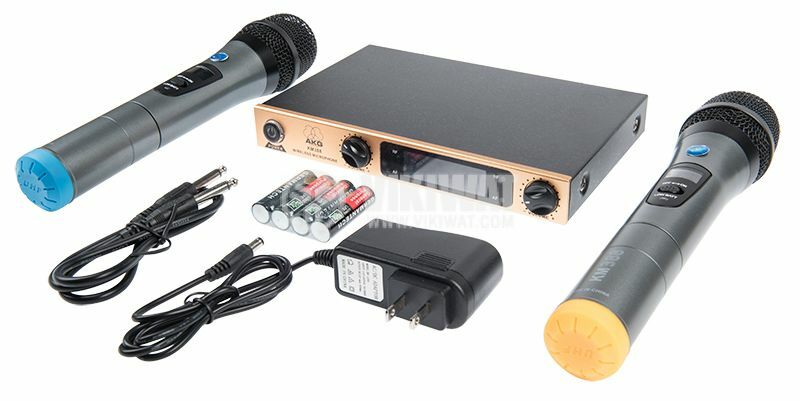 Microphones operate with 1.5 VDC batteries included. The kit is also a slider and an adapter from the US to the EU standard for trouble-free use in Bulgaria.